When it comes to the quality and value of brand name goods, consumer products and food items get the highest marks with consumers, according to a Grocery Manufacturers of America (GMA) survey. When asked to describe the quality of national-brand products, 83 percent of consumers described non-food consumer products such as household and personal care items as excellent or good. GMA’s survey, conducted in December 2004, showed a six-point increase in consumer ratings for the quality of non-food items since 1998. 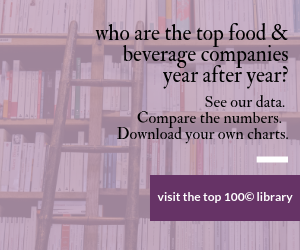 Branded food products received a similar score, with 82 percent of consumers ranking their quality as excellent or good. National brands of home electronic equipment and clothing were ranked third and fourth, with 79 percent and 75 percent respectively. When asked to rank brand name goods as a "good," "average" or "bad" buy, food and consumer products were second only to home electronic equipment, according to consumers. Of those surveyed, 43 percent considered branded foods a good buy, and 41 percent ranked non-food consumer products as a good buy. Comparatively, 47 percent of consumers rated home electronic equipment a good buy, while 37 percent called clothing a good buy. "Consumers today are looking for items that make household chores less burdensome and make it easier to put a nutritious meal on the table," said GMA Executive Vice President Mark Baum. "Our member companies recognize these requirements and invest in the development and marketing of products that meet demands for convenience, quality and value." From December 27-29, 2004, Peter D. Hart Research Associates, Inc. interviewed 806 respondents who are the primary grocery shoppers in their household. The margin of error for this survey is Â±3.5 percentage points.